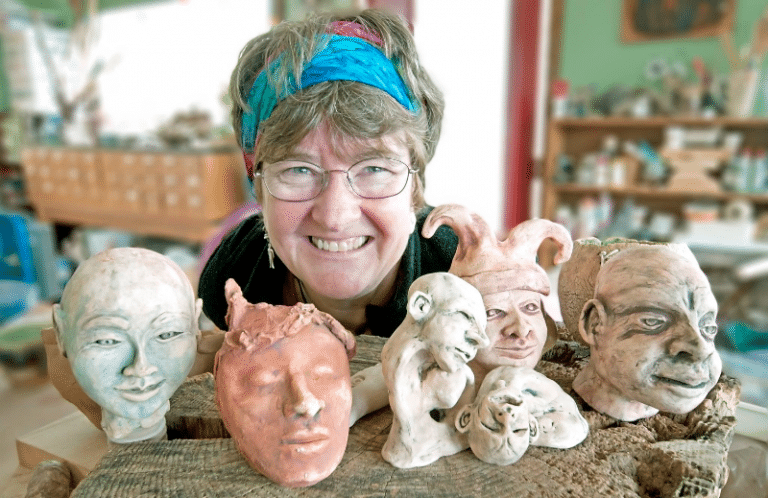 Pat Kincheloe Morrison is a creative spirit, an educator, and an expressive artist who creates unique pottery, sculptures and mixed media inspired by nature and whimsy. Her education includes undergraduate degrees in Special Education and Art Education, as well as a Masters in Art Education and a graduate certificate in Expressive Arts Therapy. In her “reFirement” from teaching art, ceramics, and clay therapy at ACHS and ASU, she continues to enjoy her lifelong passions of art and teaching!